Hanus Haunt is a Haunted Attraction located in Gilbert, AZ. 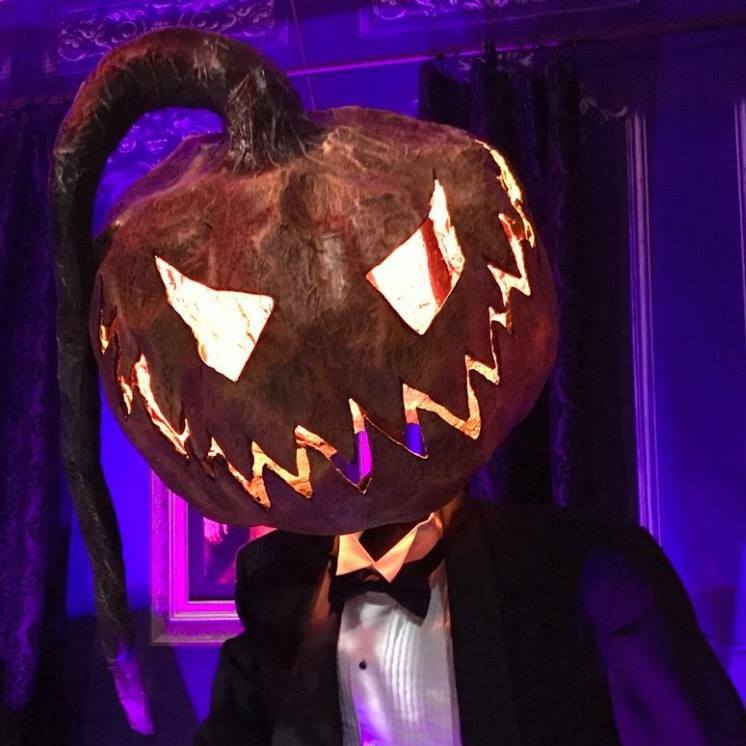 An extremely decorated Halloween Haunted House for a family safe, fun holiday event. Spooky, maybe scary, but not gory and no jump scares. A few years ago, we opened our doors on Halloween Night to the public, just to see what they thought of it. It was the second year for our Halloween party, and we may have gone a little overboard. So, we opened the doors… and wow, the feedback was tremendous. One reason we were hesitant to open up on Halloween was the fact that we weren’t really a haunted house, at least, not in the traditional sense. Our decorations were traditional Halloween: spooky, maybe even a little scary, but no gory scenes, and no one was going to jump out of a dark corner and chase you with a chainsaw. Figuring this is what people wanted in haunted houses, we weren’t sure what people would think. That night, we had so many people tell us they appreciated that the house wasn’t filled with jump scares. A common response was how nice it was to walk around and look at what we’ve done, without having to worry about being scared to death by something jumping out at them. That second year, we also decided to hold a couple of fund raisers for two local school music programs. Despite the short notice, they went really well. Filled with enthusiasm and success from the 2016 season, we spent a large portion of 2017 expanding the decor and attractions. We put countless hours into creating our own props and expanding what we had, so it was an even bigger attraction for 2017. In addition to the school fund raisers, we also added a Senior Citizen night, inviting several of the senior communities to view the house. All of these events exceeded our expectations, resulting in over $1100 raised for the schools and over 800 people coming through on Halloween night.